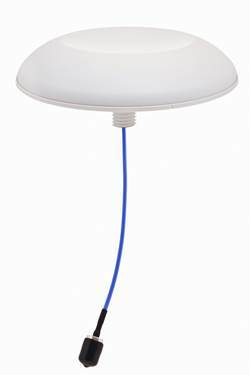 The CLS69273 is an indoor 698-960 MHz / 1695-2700 MHz wideband omnidirectional low profile ceiling mount antenna designed to provide pattern coverage that is optimized for indoor coverage. Ideal for applications requiring GSM, DCS, UMTS, and LTE/WiMAX frequency band operation. Both Low PIM and non-PIM models are available for Cellular Voice and Data coverage. 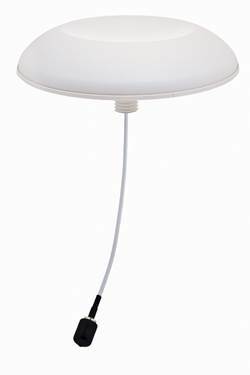 The antenna features a pattern that has been specifically shaped to provide optimal performance from a ceiling mount location. The pattern is also very uniform and symmetrical, providing system integrators with the ability to precisely determine cell size.